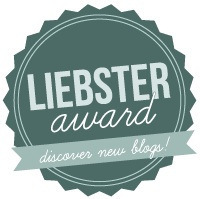 I was very pleasantly surprised to be selected by Smash of Smashing Through Life for my very first blog award – The Liebster! Although no ‘prize’ as such is given (unfortunately, haha! ), it was a lovely thing to be thought of by Smash, and it’s great to know my readers are enjoying my blog! 5. No tag backs for nominations (So bloggers I nominate can’t just renominate me). 1. How do you take your eggs? 2. What is the best concert you ever went to? U2. Although I’m planning on going to Fleetwood Mac in December, and I have a feeling that may replace it! 3. What’s hiding under your bed right now? Antique tins. This is strange, I know. I have to figure out a way to display them on the wall, but I’m yet to get around to it. 4. Worst book you ever read…maybe you couldn’t even finish it. What was it? Fifty Shades Of Grey. So terrible that I couldn’t even get beyond the first chapter. I can’t believe anyone managed to finish that book! 5. How do you like your pizza topped? Meat, meat and more meat. I could never be a vegetarian. 6. What’s the most outrageous thing you’ve ever eaten? I tried kangaroo at a wild food stall somewhere one time. I didn’t feel good about eating it. “Tastes like chicken”, they told me. (It didn’t, for the record). 8. Would you or do you go to the movies alone? I haven’t…but I probably would. 9. When was the last time you got so drunk you couldn’t remember anything the next morning? Not since I was about 21! 10. Something that makes you smile, every time you think of it. What is it? 11. What is the bravest thing you’ve ever done? Deciding I’m going to go back to university in July, to study to become a teacher. Scares me a LOT but I really want to do it. And here are your questions to answer, my lovely nominees! 1. What do you look forward to the most, each week? 2. 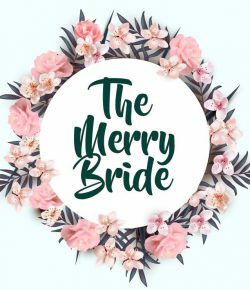 If you had to blog about another topic other than your chosen one, what would it be? 3. What’s your favourite holiday destination? 5. What website do you visit the most? 6. What’s your most treasured possession? 7. Who’s your most hated celebrity? 10. How many cups of coffee do you drink each day?